Due to copyright reasons, all news and releases can not be exposed on this page. 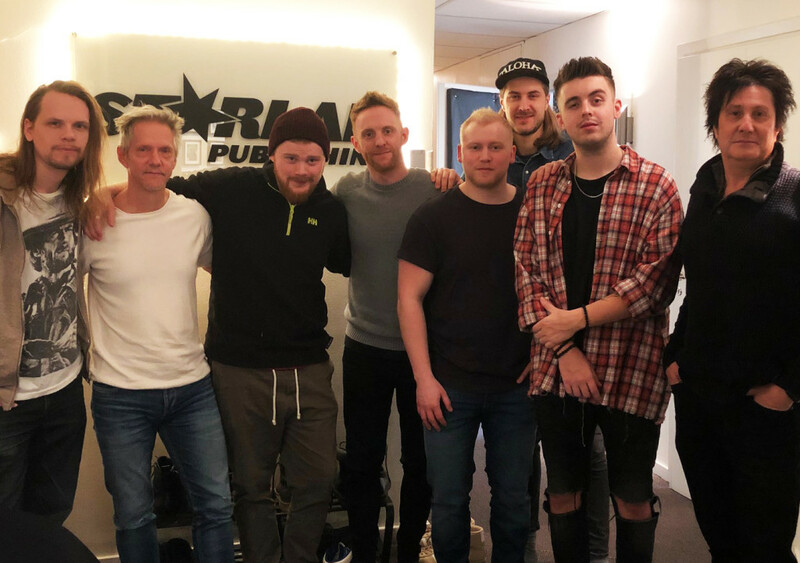 Congratulations again to Starlab Publishing songwriters Nicklas Eklund and Kevin Borg who, together with Hanif Hitmanic Sabzevari, wrote the song “Sweat”. 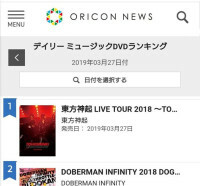 The song is featured on the popular Korean / Japanese boy band Tohoshinki live DVD, which is currently # 1 on the sales charts in Japan. Great J-Pop songwriter camp in our studios between Starlab Publishing and Nichion songwriters! 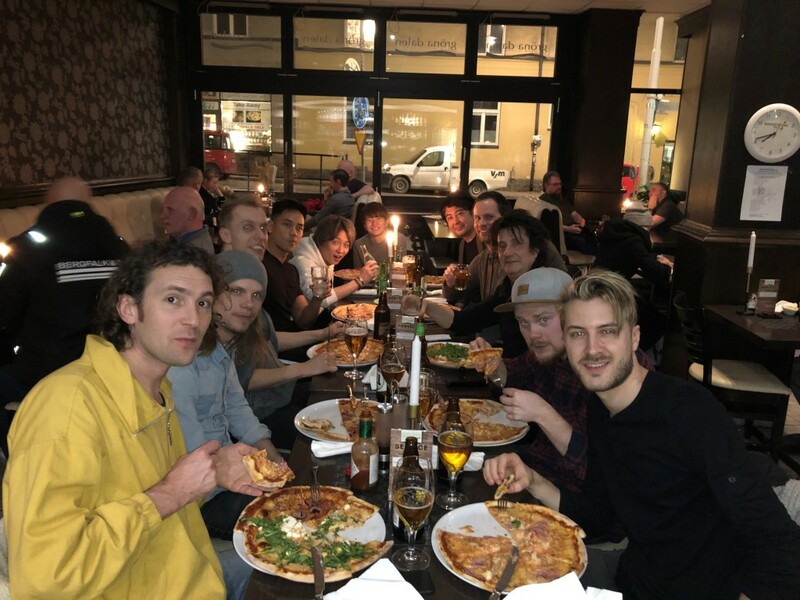 Big Thanks to Maasa, GUCCI and MiNE from Nichion and to our Dutch songwriters Jan Baars, Rajan Muse, Ronnie Icon, Koos Kamerling and our in-house songwriters Nicklas Eklund, Oliver Fernström and Viktor Strand! Congratulations to Starlab Publishing’s songwriter Oliver Fernström who wrote the song “Talk to me” along with Maia Wright and the artist Josef Bamba. 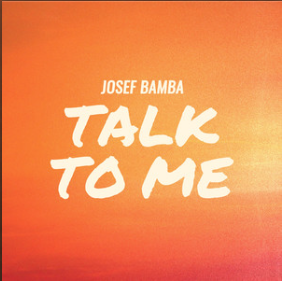 Single release today via the record company Playground and posted on many countries’ Spotify “New Music Friday” playlists. 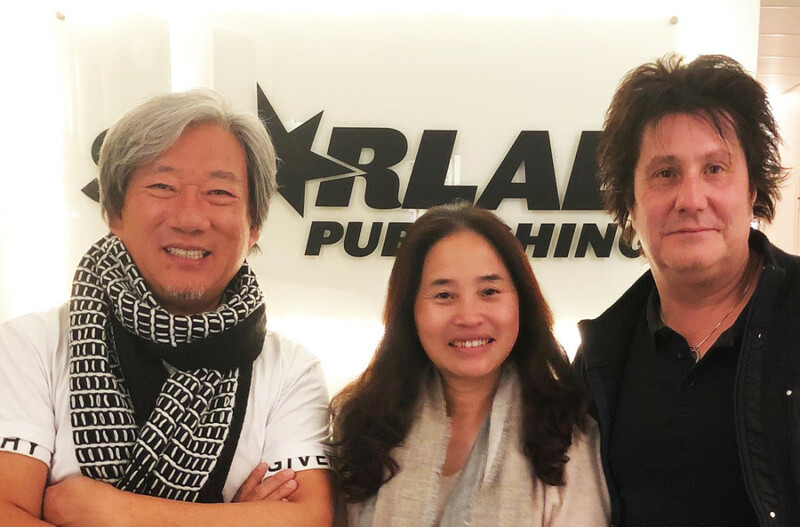 Congratulations to Starlab Publishing songwriters Peter Hedén and Jan Andersson who wrote the song “Make you smile” to the popular South Korean boy band Super Junior. 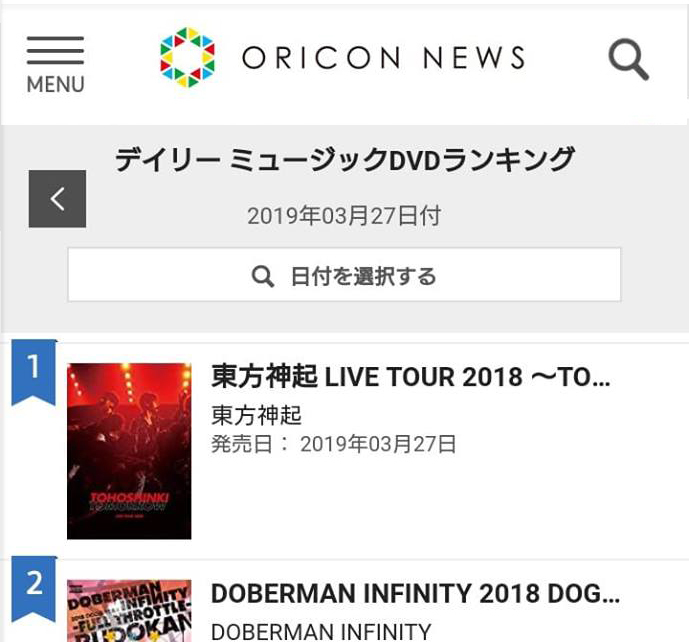 The song is featured on their Live DVD which is currently ranked 4th on the Japanese sales charts. Today we had nice visits from England. 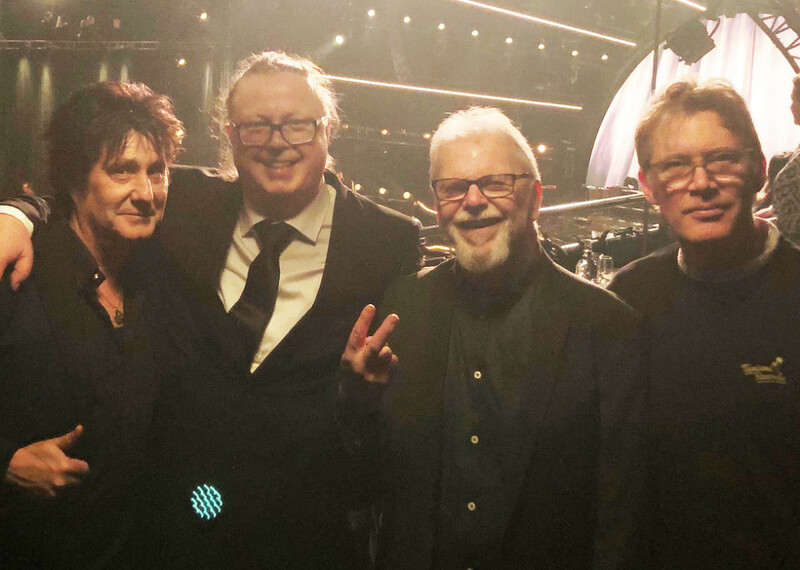 It was Manfred Mann and Robert Hart from the legendary band Manfred Mann’s Earth Band who chose to record in our studios. Nice meeting in our studios today with Tony Oh and his partner from Jam Factory China! 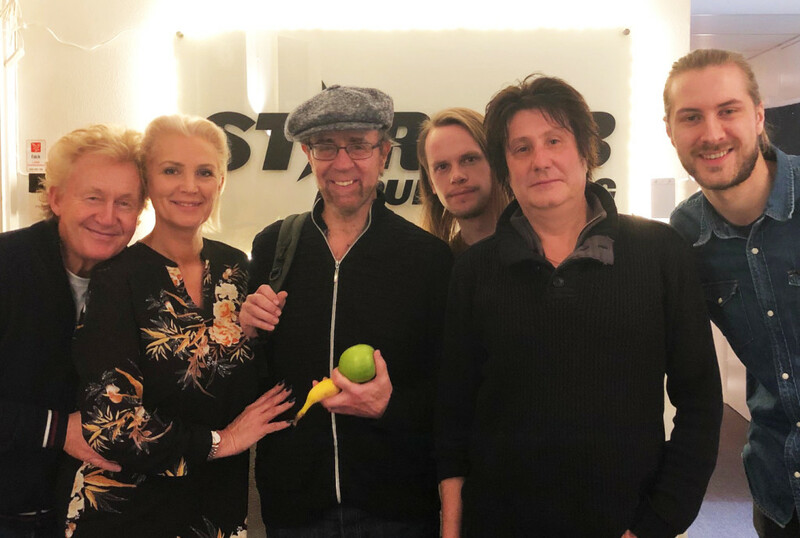 Congratulations to Starlab Publishing’s songwriter Benny Jansson who wrote the song “Criminal” together with Monika Marija, Thomas Karlsson and Mahan Moin. The song is now in the Semifinal with the popular “The Voice” winner Monika Marija for the national competition in Lithuania for the Eurovision Song Contest 2019. The song is also released on Monika’s new album and has been produced by Benny Jansson at Starlab Studios. This week we have our great UK songwriter Adam Moss and his manager Daniel Haden-Scott in our studios, writing songs together with Nicklas Eklund, Viktor Strand, Benny Jansson, Oliver Fernström, Jacob Andersson and Jonathan Bratthall-Tideman. Congratulations to Starlab Publishing’s songwriter Sara Sangfelt who wrote the song “Riddle” along with Ina Reni and Ian Curnow from UK. 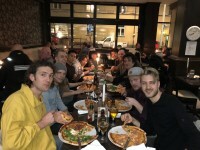 The song has moved on to the Semi final in the national competition in Lithuania for the Eurovision Song Contest 2019.